The Sheckler Foundation proudly names the top four finalists for its seventh “Be the Change” initiative to help action sports athletes and children in need. 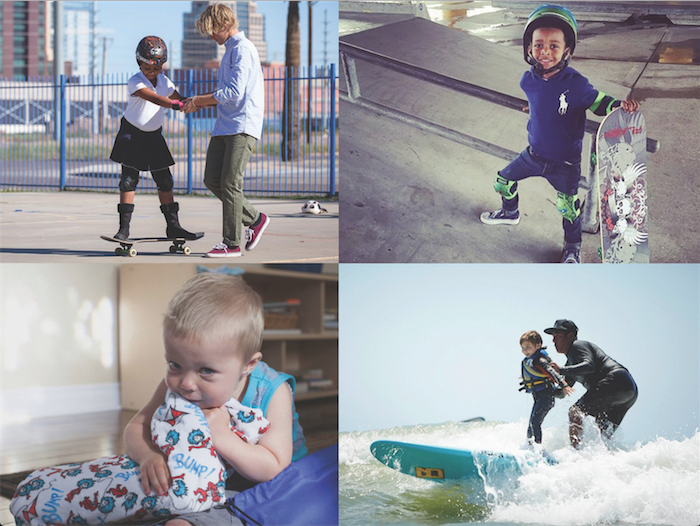 Binkeez For Comfort, COPING MECHANISM, Mighty Under Dogs (MUD), and Skate After School were selected as finalists among various entries submitted from organizations and individuals across the country. The finalist with the most votes by Wednesday, August 17, 2016 will receive support and a $10,000 financial grant from the Sheckler Foundation to help make its vision a reality. Meet the top four finalists, watch the videos and cast your vote, here: shecklerfoundation.org/be-the-change. • Binkeez For Comfort: Binkeez blankets provide so much love and comfort to children battling cancer and other illnesses. While children travel from hospital, to doctors and treatment centers, Binkeez provides them with a piece of "home" and security. Parasite DIY Skatepark is New Orleans' first public skatepark, and it's designed, built and run by skaters. COPING MECHANISM needs support to put in steel coping and to continue building the first public skatepark in New Orleans' history. • Mighty Under Dogs (MUD): The Mighty Under Dogs (MUD) are a group of dedicated surfers who firmly believe that surf and ocean therapy can help heal children with special needs by providing surf therapy on an ongoing basis in addition to one-time events. • Skate After School: Skate After School is a nonprofit that provides after school programs to at-risk youth in the greater Phoenix area in the form of skateboard instruction and mentorship. The Sheckler Foundation is dedicated to the mission of educating, equipping and empowering its community to “Be the Change” and has helped numerous different causes and individuals over the years, to include: The Port Gamble S’Klallam, Peach’s Neet Feet, Ashley Wade Foundation, Hope for Carter, Gamerosity and Andrew Hale’s Road to Recovery. The voting process closes on August 17, 2016 and the “Be the Change” recipient will be announced on the following day, August 18, 2016. For additional information and to cast your vote, visit shecklerfoundation.org and follow @ShecklerFoundation on Instagram, Twitter and LinkedIn.